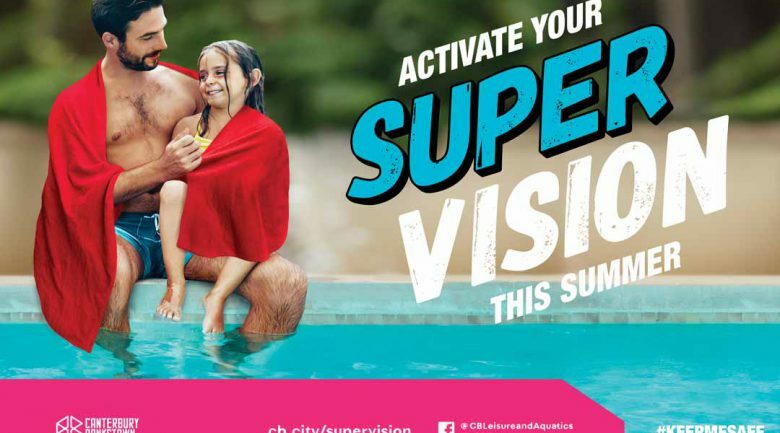 The City of Canterbury Bankstown has launched a new campaign aimed at encouraging parents and carers to be their child’s superhero this summer, by activating their “super-vision” when visiting leisure and aquatic centres. The campaign is focused on ensuring parents know they are primarily responsible for their child’s safety when at a local pool, and reiterating the role of lifeguards. “Lifeguards are an important safety feature at our centres, but they do not replace the close and active supervision of parents/guardians,” says City of Canterbury Bankstown Mayor Khal Asfour. “Not all superheroes wear capes and that is what we want to try and emphasise with this campaign, that parents and carers play a vital role in protecting their children from drowning. Asfour says the startling statistics around drowning was a large factor in kick-starting the campaign. “It only takes seconds for a child to drown. Not one minute, not ten minutes, seconds,” he says. Over the past 25 years, 965 children under the age of five have died from drowning. “That’s 965 lives gone in a flash, and thousands more family and friends’ lives ruined,” he said. In order to prevent these harrowing statistics rising, Asfour is hoping the community will play their part in this campaign. 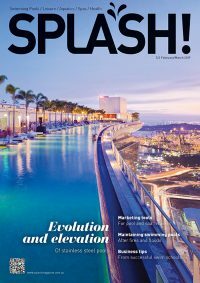 “It’s a great campaign, which we hope will encourage parents/guardians and their children to have some fun with – while staying swim smart and swim safe of course,” he says. “You will see life-size superhero cut-outs at our leisure and aquatic centres for parents and children to have their photo taken with, and we will be giving away 300 limited edition red towels with the “Super Vision” theme. For 11-14 year olds, a parent must regularly check on their child by physically going to the point where they are in or around the water. For more information on Council’s Leisure and Aquatic Supervision campaign, go to cb.city/leisure.